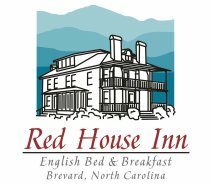 The Old Kitchen is a newly constructed room at the Red House Inn. 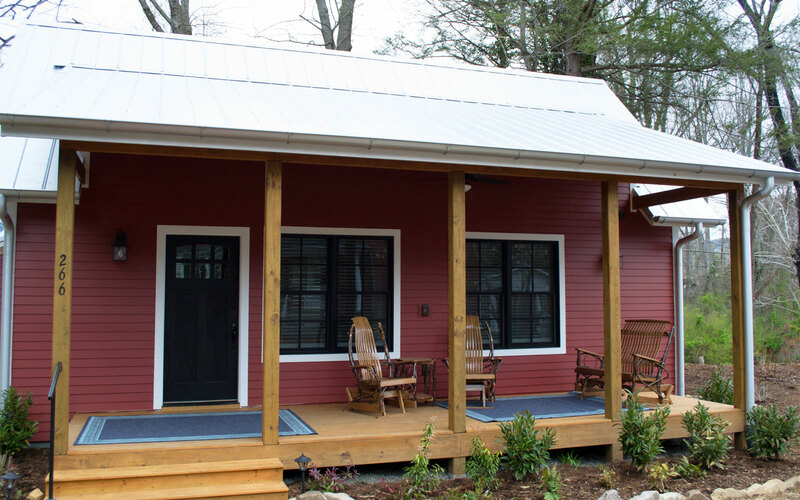 Finished in spring of 2018 with a design inspired by the original kitchen structure that served the property until 1912, the Old Kitchen is situated adjacent to the main house and offers space, privacy and ground floor access. 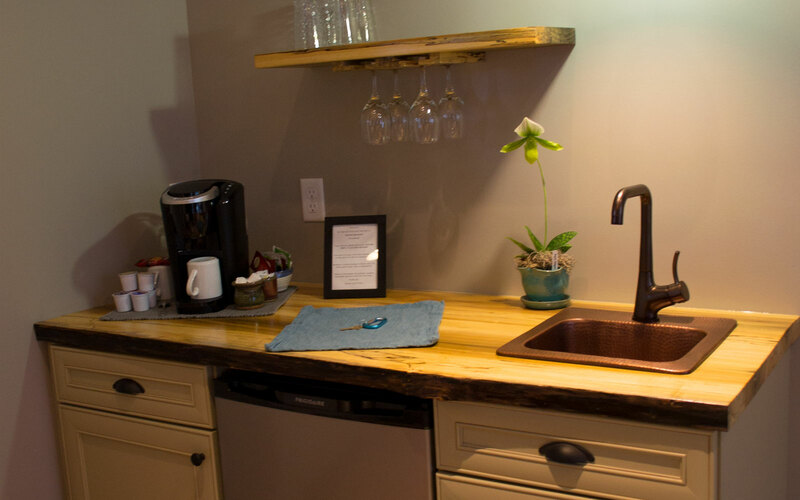 The Old Kitchen features a large room with vaulted ceilings, a king size adjustable bed and a wet bar area. 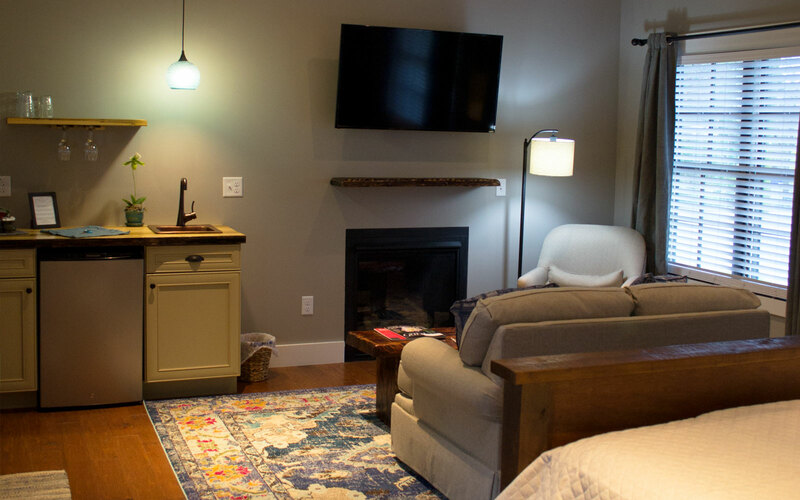 There is also a gas fireplace and a sitting area in which to read, relax or watch the smart television. 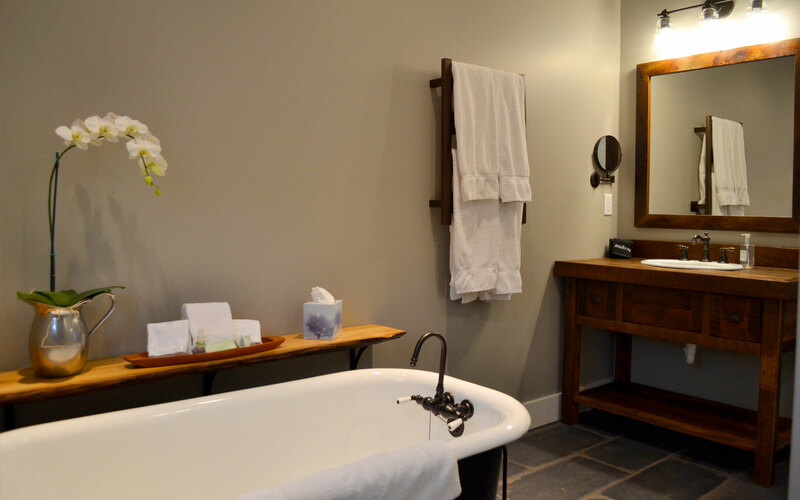 In the private bathroom, guests will enjoy a clawfoot soaking tub and a large shower featuring rippled tile and a frameless glass door all kept cozy by under floor heating and a heated towel rail. 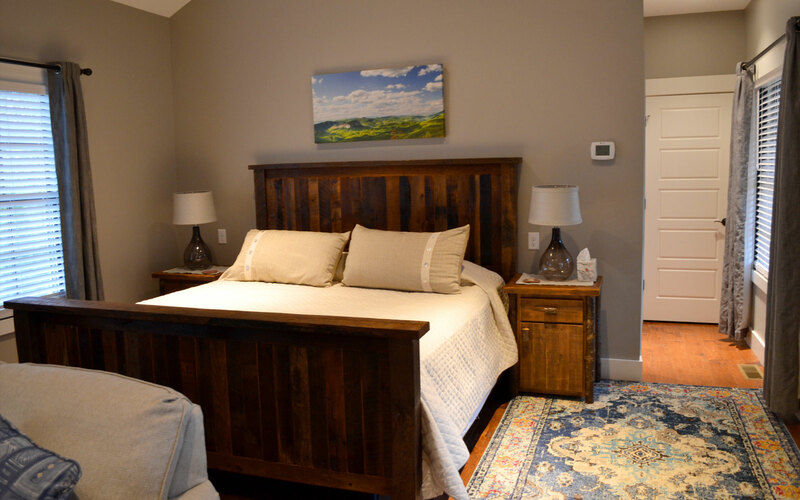 The reclaimed barn wood vanity pairs with the barn wood bed in the main room to continue the space’s mountain feel. 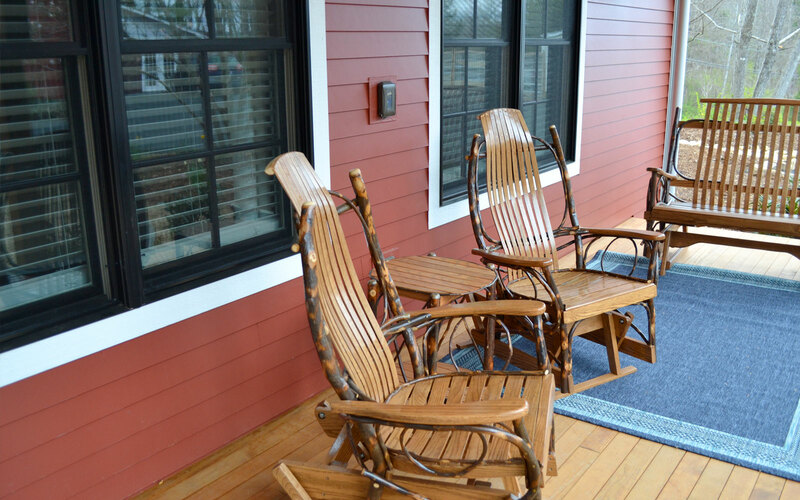 The spacious porch with Amish-made glider rockers offers a place to relax after a day exploring Brevard and the surrounding area.